I would like to take a moment to thank everyone who has visited my iPhone in Canada blog! You are the reason why I post about my iPhone in Canada journey! Without the loyal readership out there, this blog would not be what it is today. 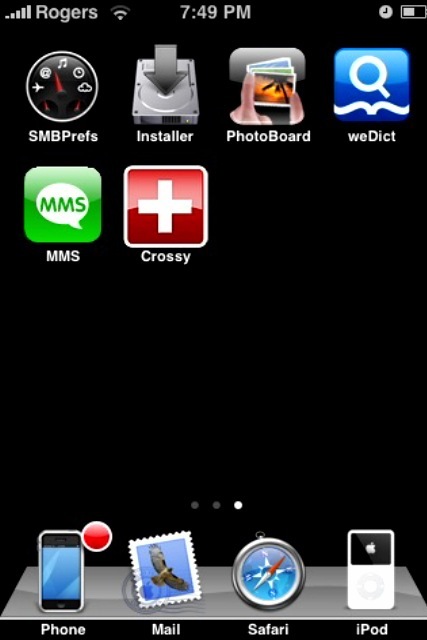 To celebrate Christmas, here’s an application that you can install on your iPhone to bring on the Christmas cheer. 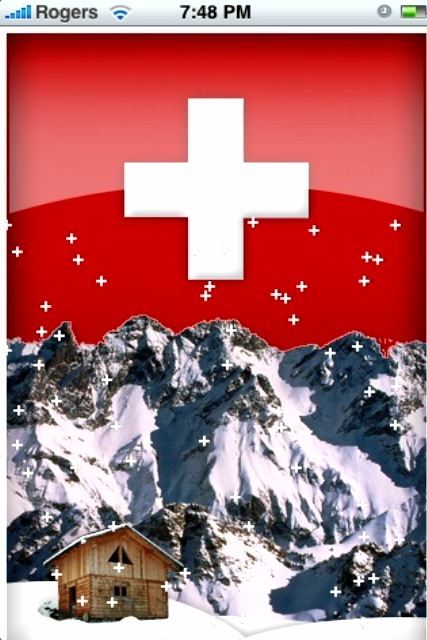 It’s called Crossy, and it’s “a snow globe with a beautiful Swiss Alps background.” You just turn or shake your iPhone to see it “snow!”. You can download it via Installer, under the “Toys” category. It’s fun for a little while, but it’s probably the best Christmas (and only) app out there. Here are some screenshots–enjoy!